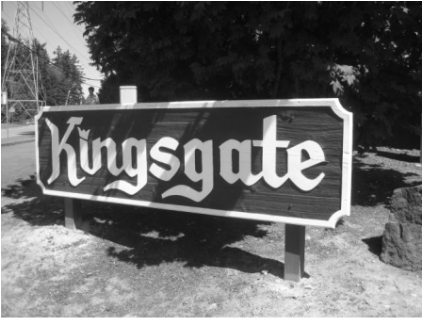 Kingsgate Highlands, Divisions Number One and Number Two, Homeowner's Association comprises two neighborhood developments located in the Evergreen Hill region of North Kirkland, WA. Built in the mid-1960s, the house designs are reminicent of the California mid-century ranch home. Our community was previously unincorporated as a part of King County, Washington. On June 1st of 2011, the City of Kirkland voted to annex us into one of the region's most prosperous cities. Kirkland, Washington sits on the northeast coast of Lake Washington across from Seattle. As a bustling waterfront community, Kirkland boasts an array of quaint neighborhoods, each with their own inviting character. Our community, located in the northeastern part of the city, is known for our family-friendly environment with walking access to schools, parks and shopping. We maintain a community area with a private park, ball field, picnic area, tennis courts, playground and swimming pool. Our location provides easy access to freeways, shops and high end medical facilities, including Evergreen Hospital. We are located in the Lake Washington School District. Our resident students are zoned to attend Robert Frost Elementary, Kamiakan Middle School and Juanita High School. We are home to the Royals Swim Team.